Dreaming of seeing the endless beauty of Switzerland? 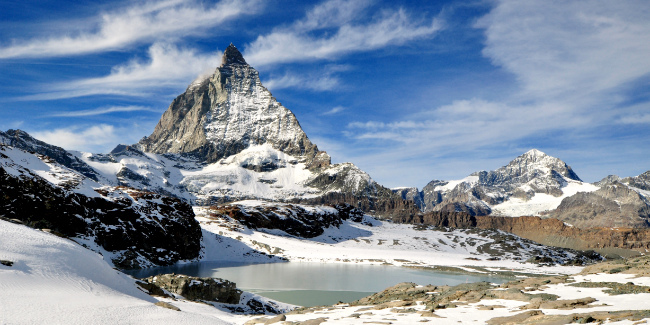 In this piece, we're happy to share recommendations for those planning a Swiss winter trip. Below you can find answers to often asked questions such as where to go in Switzerland in winter, things to see in winter Switzerland, which activities to add on to your travel plans, what the weather is like, as well as handy tips on which things to pack in your suitcase. Let's begin! What is Switzerland known for? Its world-class ski resorts in the stunning Swiss Alps, of course. So if you're among those who want to see this gorgeous European country in all its winter fairytale glory, then the months from November to early March are the ones for you. This season introduces to a different side of Switzerland: a snow-sprinkled glorious picture of mountain snow caps and winding narrow historic streets all covered in white. So, regardless of the main aim of your Switzerland vacation, be it winter sports, sightseeing, or both, snowy winter is definitely a magical choice. Bear in mind, though, that winter is considered as the high travel season in Switzerland, meaning that there may be lower availability of hotels, transport, and activities, resulting in higher prices, thus, it is best to start booking such a trip in advance. The weather in Switzerland in winter in much depends on the precise destination you're planning to visit as well as its elevation. And it goes without saying that the weather in the mountains is a very changeable phenomenon. As a rule, the northern part of the Alps tends to be a colder region than the southern one, plus that the Alpine part of the country is the wettest one all year round. Obviously, the higher you are in terms of elevation, the cooler the outside temperatures are. Although Switzerland has a mild climate overall, the chilliest months are January and February, providing the perfect conditions for winter recreation. On average, the temperature in the winter months is around -3°C to +2°C (26°F to 35°F). On the image on the left, you may see examples of the temperatures in different Swiss cities in mid-January. So which places deserve a spot on your Swiss itinerary? This, in much, is totally up to you. On the Switzerland map on below, you can see the best places to see in Switzerland in winter marked with purple stars. For starters, such towns as Zurich, Lucerne, Bern, Chur, and Geneva are lovely any time of the year and going on sightseeing tours is a must. All five cities are rich in well-preserved historical architecture and offer plenty to see. Without a doubt, speaking about winter Switzerland travel, the mountainous Alpine areas cannot be left unmentioned. Among the most popular Switzerland resorts in the Alps is the petite town of Rigi Kaltbad which not only attracts with its slopes but also offers numerous top-notch hotels where you may relax in natural mineral hot springs while gazing at the mountains. Sounds incredible, huh? Those staying in Geneva may take advantage of the relaxing activity if the lake doesn't freeze: a boat ride on Lake Geneva is a wonderful pastime. Are you a foodie? If you're planning to stay in Zurich, treat yourself to some fondue! The plethora of these cheese-related activities offer degustations, cooking classes, and more. Other yummy activities to spice up your Switzerland getaway include going on Swiss chocolate workshops or confectioneries tours. In case you're a fan of history, make your way to Montreux as nearby there stands the Chillon Castle, one of the most renown Switzerland attractions. You may take a day trip to this site and see it inside with a guided tour and even taste local Swiss wines there afterward. Swiss Alps tourism plays a great role in the country's economics and image, but even if you're not a fan of snowboarding or skiing there are numerous activities to keep you busy and entertained. If the Alpine region of Switzerland is on your agenda, consider spending some time in Lucerne. This town is a great starting point to discover Mount Pilatus. Another way to highlight your journey is riding on the famous Glacier Express between Zermatt and St. Mortiz. This iconic route in the Swiss mountains is among the most jaw-dropping ones on the entire planet. Mind that usually, this route is closed from mid-October to mid-December and is available from the second half of December. Similar yet also fun trips are along the cog railway called Gornergrat taking you to a picture-perfect platform from which you can get outstanding views of the peaks of Matterhorn, Another great route is on the express train from Interlaken to Lucerne and vice versa. Travelers who prefer to take things slow and aren't into skiing and snowboarding often choose in favor of winter leisure such as group hikes in snowshoes or laid-back stays in quiet chalets. And if you're keen on these winter sports, good news for you, the chances to learn and enjoy it to the fullest are immense! Keeping in mind everything mentioned above, pack your luggage wisely. The major rule that'll be a lifesaver is, for sure, to dress in layers. Warm sweaters, pants, leggings or thick tights to wear underneath pants (for ladies), comfortable waterproof winter boots, hats, gloves, long thick socks, scarves, and warm water and windproof coats with hoods should be the minimum on your checklist. Of course, those going skiing should mind a separate special packing list alongside. As strange as it may sound, some sunscreen won't hurt, chapstick and other winter cosmetics to protect your skin are a good idea. What's for more winter packing for Switzerland advice, note that the electrical plugs in Switzerland are for appliances with two round pins and are for 220/230 V, meaning that you'll most likely need adaptors to charge your devices. It always makes sense to pack a small first aid kit with all the medication you're accustomed to taking to save your time and money while abroad. We hope that this was helpful and wish you an outstanding Switzerland vacation. If you have more questions about the destination or would like to start putting together your personalized travel itinerary, feel free to contact our dedicated travel specialists who would be glad to assist!